12/27/2018: Completed Task 3! 3 points total! 12/06/2018: It is 2:00 A.M. my time and I really should be getting to sleep right now. But I also really wanted to do one more 24 Festive Tasks update. I'm really bad about general delegation of sleep and time in my life. But hey! I completed Tasks 1 and 2. And there's a Book Task update for a planned read! Yay? Post a picture of your advent calendar - store bought or homemade. It's a 12 Days of Wine Advent Calendar. I'd seen those infamous wine advent calendars on Pinterest a few years back and always thought it was a great idea... if you lived with a big family, or planned to have 25 parties until Christmas Day. While I love myself a nice glass of wine, I'm also not sure I can handle a full bottle of wine daily, for 25 days straight. 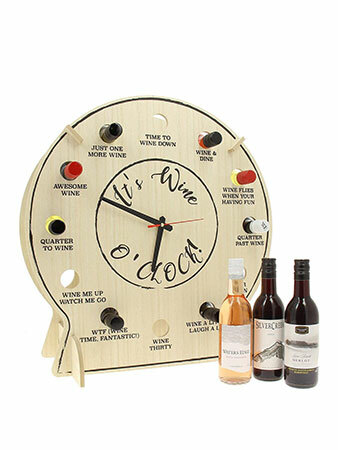 And given how quickly wine can start going bad, obviously you don't want to open a bottle of wine, drink a glass or two one day, then open another bottle the next day before finishing the first. While 12 bottles of wine might still be a bit much, it's a bit more realistic for me, if I want to be honest. Barring that, I also came across some wine advent calendars that apparently have smaller bottles of wine rather than full 750 mL bottles. They look super cute as well! The holidays season is in full swing – tell us: What’s your favorite tradition? Truth is, I get asked this question a lot--not in those words, but more of as a general, "What kind of holiday traditions do you have?" Of course, this question is usually following on the tail end of, "I don't know if your family celebrates Christmas or anything in your culture." I don't know why I find that lead-in so amusing--probably because I know people try so hard to be politically correct and inoffensive. And it gets asked almost every year by the same people. Understandable, though, since it IS true that Christmas isn't a traditional Asian holiday. So even while our family DOES like to celebrate holidays indiscriminately, we don't really have any actual traditions. Unless you count the one where we simply find any holiday (Christmas or otherwise) as a great excuse to go out to a nice restaurant. It really IS as simple as that. There isn't any decorating of tree or house, no going to see Christmas lights around town, nor do we even really exchange gifts. My parents don't believe in randomly giving people things that they won't be able to use. Surprise gifts are definitely out of the question. So for Christmas every year, Mom and Dad just give my brothers and me a holiday themed envelope with a certain amount of money--I suppose this could be counted as a tradition--and we can use said money however we wish. In return, we treat them to dinner at a nice, fancy restaurant. We may take my parents shopping if they so desired, and typically Dad ends up with some fun new technology to fawn over. Mom never wants anything, though I might buy her a cute new scarf, or pay for the pretty shirt she's picked up and put down a dozen times with the excuse that she doesn't need any new shirts. The tradition of carol singing in the Advent / holiday season is linked to the old Anglo-Saxon (and medieval) custom of wassailing (https://en.wikipedia.org/wiki/Wassailing). Prepare an apple cider wassail bowl or a wassail bowl containing your favorite drink or fruit. Post a picture and enjoy! The family had a nice dinner celebration over the weekend prior to Christmas with my youngest brother coming home for a visit. Also, being the Chinese holiday of Dong Zhi, my mom made a few things, including a large pot of seafood soup... which I spent more time eating than actually thinking about taking photos of. I'm sorry about that, guys. Meanwhile, I DID manage one or two pictures because I had my mind on cookies, spice wine, and wassailing. So, I present to everyone, the Wassail... pot. Yeah. For reasons, the spice wine didn't make it into a bowl, even though I enjoyed it very much. I went shopping for spices and stuff to put into my Wassail Pot, including cinnamon, cloves, star anise, an orange, and a bottle of apple cider. And not to forget our most important ingredient, the wine! 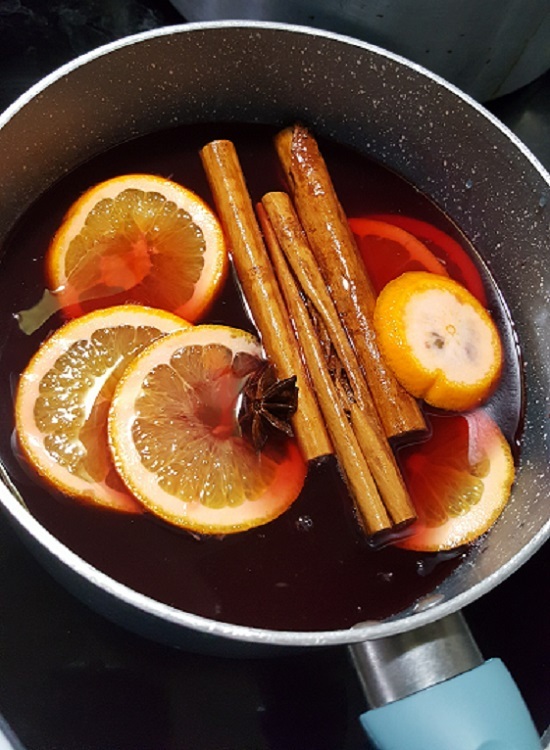 Of course, I cheated a little bit and went straight for the spiced wine, simply adding a bit more spices to it to add to the flavor. And yes, I also bought two other bottles of wine. 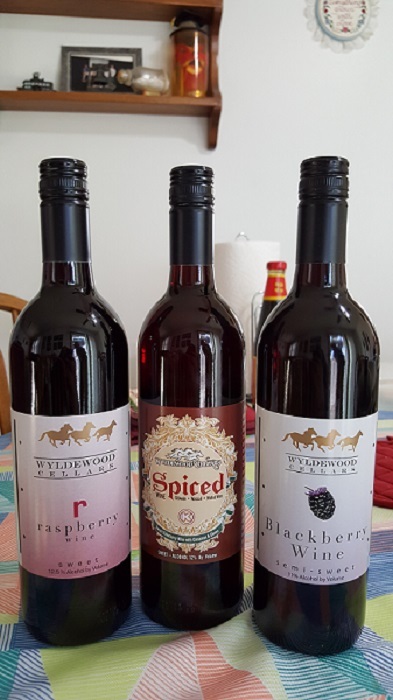 These were all bought from a local wine seller who stocks wine from a local winery called Wyldewood Cellars. The winery itself is only about fifteen minutes away, and I'm sad to say I've never visited--something I plan to rectify soon! 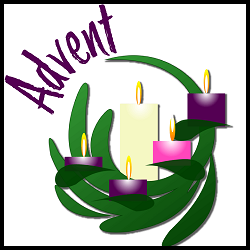 Advent also means “second coming”: Read a pastiche, or a book written by an “authorised author” by the deceased author’s estate. OR: There are four Sundays in Advent. Read the fourth book of a series or a book with the word “four” in the title. I'm a little peeved at myself that I haven't gotten to this book yet. I've been really slacking in reads these last two months of the year, but I DO want to finish the Nichelle Clarke series. If I'd already read this in November, I could have retroactively claimed it already. As it stands, I will definitely do what I can to work it into my reading schedule. 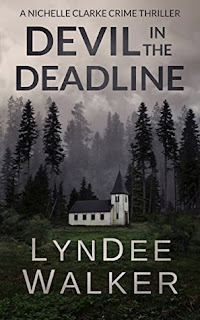 Devil in the Deadline is the fourth book in the Nichelle Clarke series by LynDee Walker.